In 1753 Benjamin Franklin was appointed Deputy Postmaster General of North American along with William Hunter, postmaster of Williamsburg, Virginia. Franklin immediately initiated changes, which would significantly improve communication between the colonies. IN 1775 the Continental Congress selected Benjamin Franklin as the first American Postmaster General. This appointment established the organization known today as the United States Postal Service. This year’s Celebration recognized this significant anniversary and honored John E Potter the 72nd Postmaster General of the United States Postal Service. Benjamin Franklin and his fellow firefighters founded The Philadelphia Contributionship in 1752, the nation's oldest insurance company whose fire mark, four clasped hands on a shield, has been a familiar sight on Philadelphia properties over the centuries. Celebration of Benjamin Franklin Founder recognized in this event the Bicenquinquagenary of The Philadelphia Contributionship. The Franklin Celebration also acknowledged in a special presentation of the Franklin Founder Bowl, the significant role firefighters played in the development of the insurance industry and the safety of Philadelphia's residents. John C. Bogle, founder and former Chairman of the Vanguard Group delivered the keynote address: "Energy and Persistence Conquer All Things" Applying Benjamin Franklin's Entrepreneurship in the 21st Century." 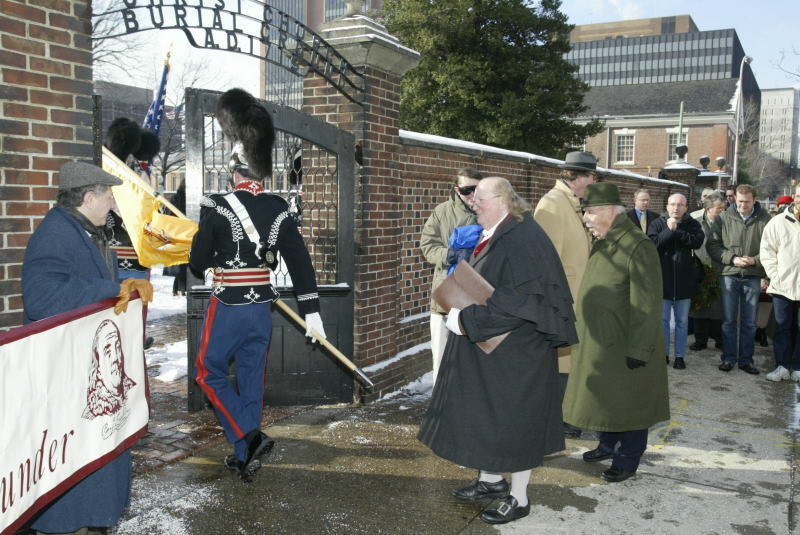 Franklin and Diplomacy: The Essential AllianceThe Celebration also marked the anniversary of Franklin's secret meeting at Carpenters' Hall with Chevalier Julien Achard De Bonvouloir, an emissary representing the Court of France. Franklin and DeBonvouloir met over the course of three nights in December 1775. Bonvouloir's courageous mission of espionage set in motion the events that ultimately led to victory to Yorktown and America's independence. The world premiere of the movie Tête á Tête, celebrating this alliance, was held on Thursday, January 18, 2001. A seminar was held following the luncheon with lectures by Dr. Philip Krider, The Lightning Rod, "An Instrument So New" and Dr. Robert Gibbons, Ounces of Prevention and Pounds of Cure: Risk Management and Economic Progress. In 1751 Benjamin Franklin and Dr. Thomas Bond, founded Pennsylvania Hospital, the nation's first hospital and a leader in hospital care and clinical research throughout its history. In recognition of the Hospital's historic presence in American medical research and progress the Franklin Celebration recognized the Bicenquinquagenary of Pennsylvania Hospital. The Franklin Celebration also honored Dr. Beverly S. Emanuel, eminent molecular geneticist who made a major contribution to science as co-discoverer of chromosome 21. As the Director of the Human Genetics Center, University of Pennsylvania she directed the mapping of the human Genome, one of the most significant medical discoveries in the late 20th century, explained in her keynote address, " From Maps to Medicine: The Impact of the Genome Project." 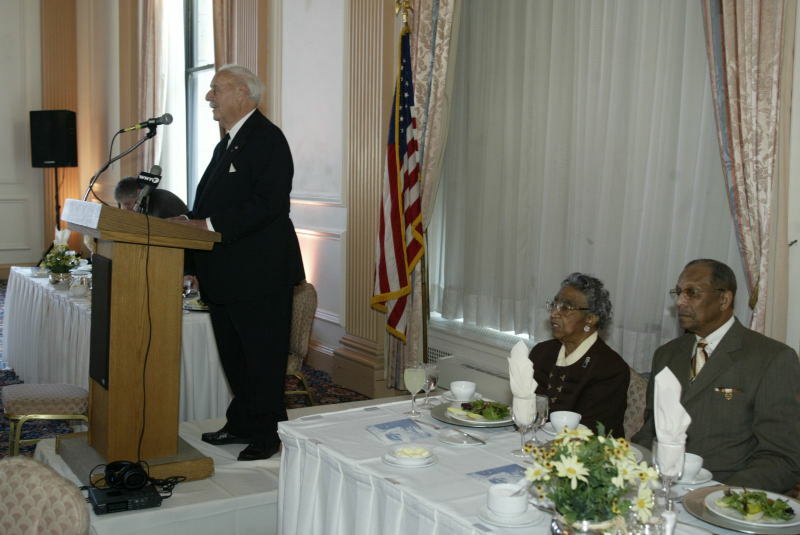 Celebration of Benjamin Franklin, Founder focused upon two significant anniversaries in 2000: the 250th anniversary of the Van Pelt-Dietrich Library and the 175th anniversary of the Franklin Institute. Two seminars were held at the University of Pennsylvania, focusing upon science education and upon the intertwining of libraries and technology in the 21st century. 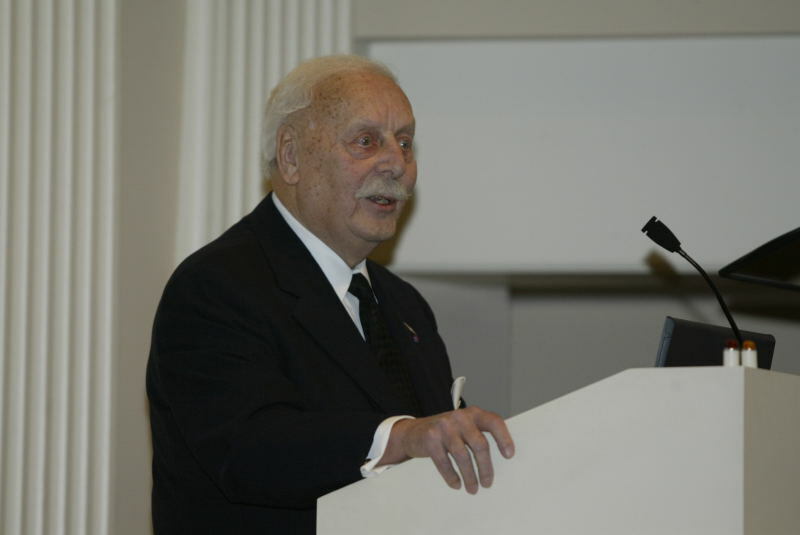 The organization's Franklin Founder award was given to Elliot L. Shelkrot, President and Director of the Free Library of Philadelphia who worked tirelessly to rebuild the Philadelphia library system to bring computer technology to the forefront of service to the public. At a dinner that evening celebrating the 175th anniversary of the Franklin Institute Stephen Jay Gould spoke eloquently. A highlight of the annual celebration of Benjamin Franklin is a speaker or honoree who exemplifies the finest attributes, ideas or ideals of Benjamin Franklin. John S. Hendricks, founder, chairman and Chief Executive Officer of Discovery Communications, Inc. which includes the popular Discovery channel received the first Franklin Founder award.